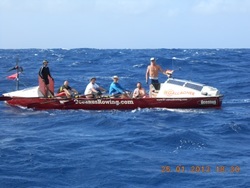 Leaving from Gran Canaria at 0959 GMT on 15 January 2013, this international crew left to row the Atlantic with the current record of 32 days to chase. This year, Titan left port as a strong crew of 6 men, providing a further weight saving advantage too! They arrived into Port St Charles in Barbados on 19th February 2013 to celebrate their successful crossing with a very respectable crossing time too. TIME TAKEN : 35 days, 13 hours & 50 minutes. Distance from Gran Canaria to Barbados is 2601 nautical miles. Row Started – 15 Jan 2013 09:59. 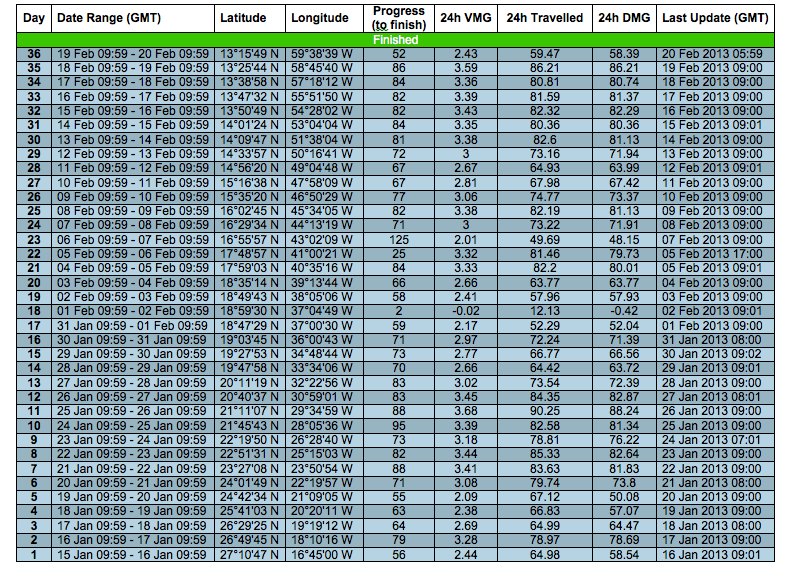 Last Update – 20/02/2013 05:59.